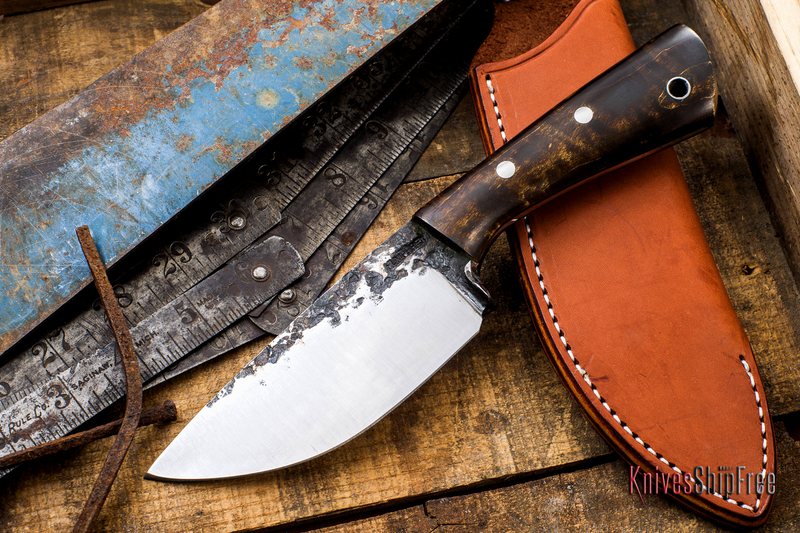 We noticed that it’s been a little while since we’ve shared one of Lon Humphrey‘s hand-forged knives. To make amends, today’s KnifeWallpaper image showcases an example of his recent work — a Custom Brute, handled in dark curly maple. This knife isn’t just beautiful — it practically begs to be worked. This entry was posted in Customs, Lon Humphrey Custom Knives, Sheaths, Traditional and tagged Leather. Bookmark the permalink.